Support for Britain’s continued membership of the European Union is currently the highest it’s been since the creation of the EU, according to a new poll released today. 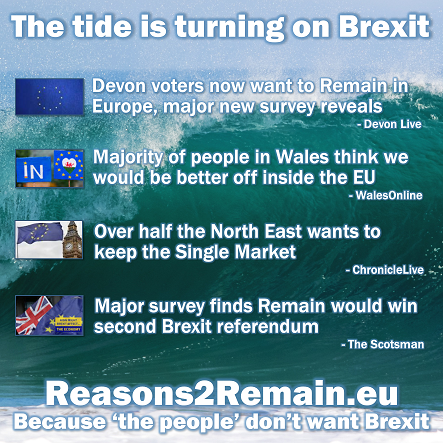 The poll means that support for the EU is higher than it’s been since the European Community was renamed the European Union in 1993. 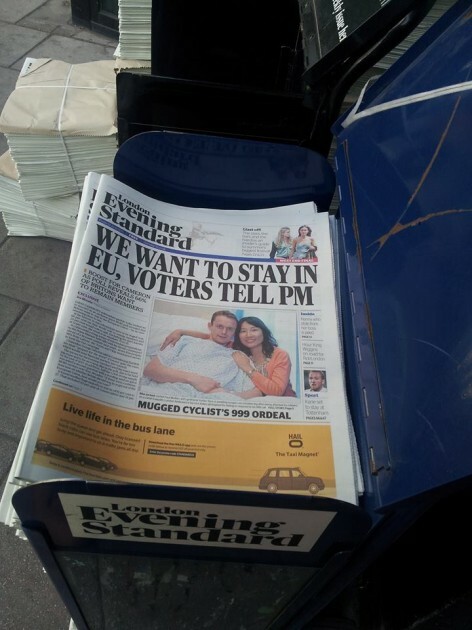 The Evening Standard headline today was, “We want to stay in EU, voters tell PM”. 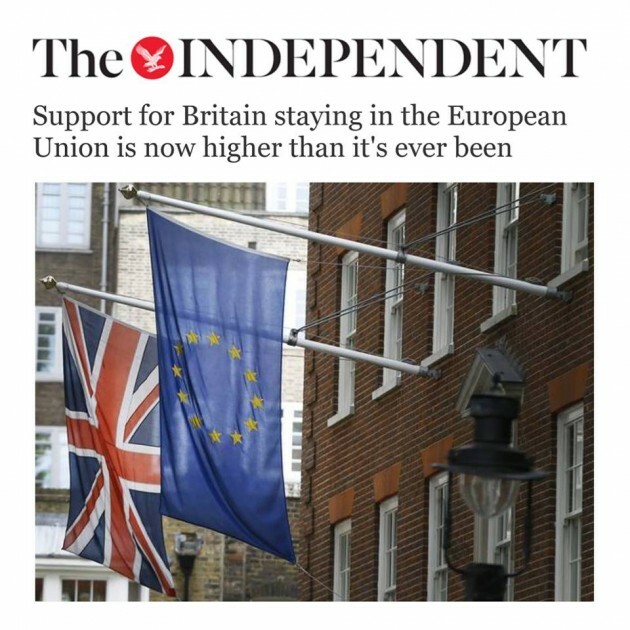 The Standard’s ‘excusive poll’ showed that people would vote 3-to-1 in favour of Britain’s continued membership of the EU. That’s considerably more than voted in the last referendum in 1975 when the vote was 2-to-1 in favour of Britain’s continued membership. 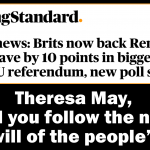 The survey for the Evening Standard used the exact wording expected to be on voting slips in the poll, due to be held by the end of 2017. 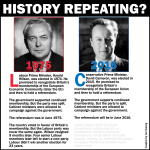 The Referendum: Who can and can’t vote? 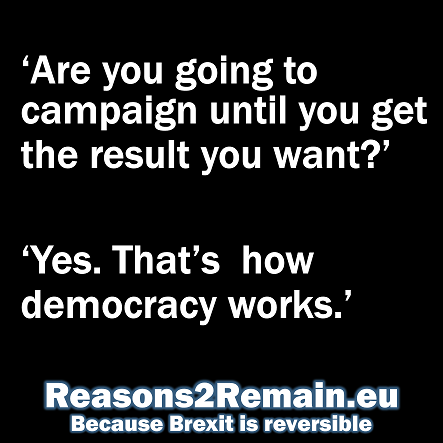 This entry was posted in Current Affairs, Democracy & Citizenship, Economics & Trade, Media & Communications, Politics & Public Policy, The EU and tagged European Union, referendum. Bookmark the permalink.